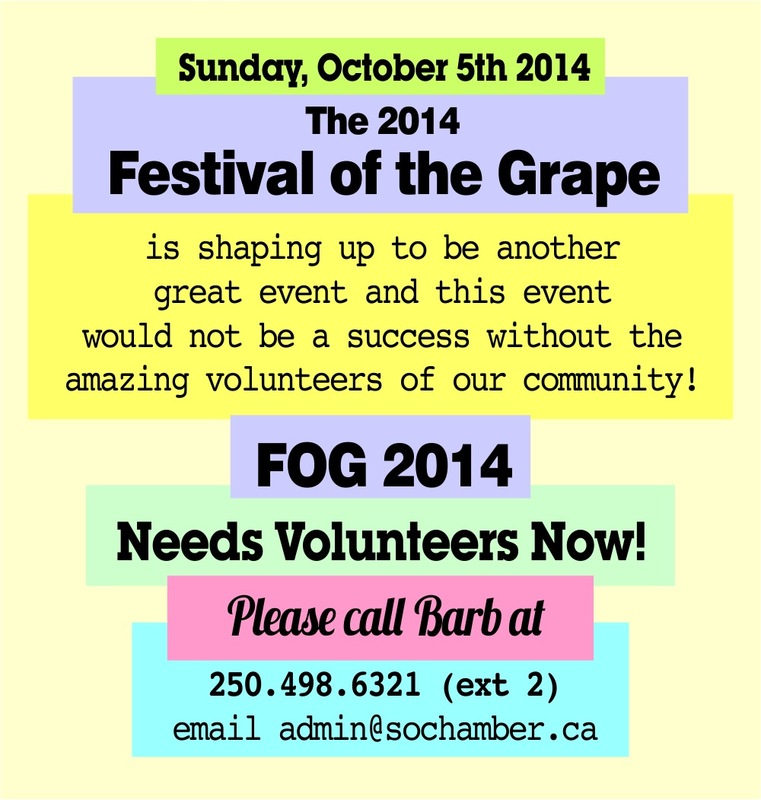 If you have a winery in BC, there is still time to be a part of this year’s Festival of the Grape! I am the Wine Chair for this year’s Festival of the Grape Committee and have noticed that there are still a few spaces left in the tasting tents. So I thought I’d put the word out this way. If you are interested in pouring your wines at this fabulous and extremely well attended wine festival, please send me an email right away. This year’s Festival is Sunday, October 5th and the wine tent is open from 1-5 pm. It’s a huge amount of fun for everyone and a great family friendly event. We are also in need of volunteers to help make the Festival run smoothly. There are some great perks for becoming a volunteer at the Festival so if you are available, please consider helping out. See below for information.